Eight seconds later Bitty was violently squashed. There was pie filling everywhere. âœ“ Family skate! Yes!! A not uncommon tradition in many professional hockey leagues. Bring out the kids! Bring out the significant others! Bring out FalcsTV as PR films this cooperate interaction, eventually producing a cute video of the Falcs and their fledglings having fun—all set to upbeat guitar music. This video will be heavily edited to exclude a fast-moving Jack Zimmermann rushing to stop Alexei Mashkov from crushing Bitty to a certain and icy death. 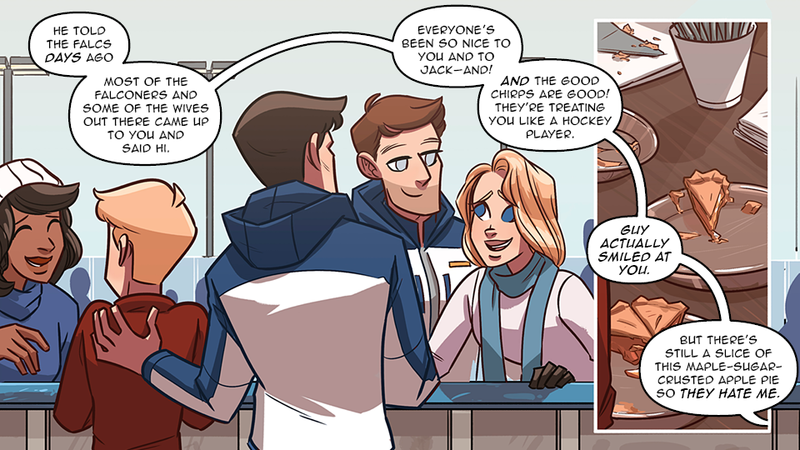 Do you have any idea how fast Jack can skate when he needs to be somewhere??? On the fast break or saving ERB from mortal peril—top speeds. 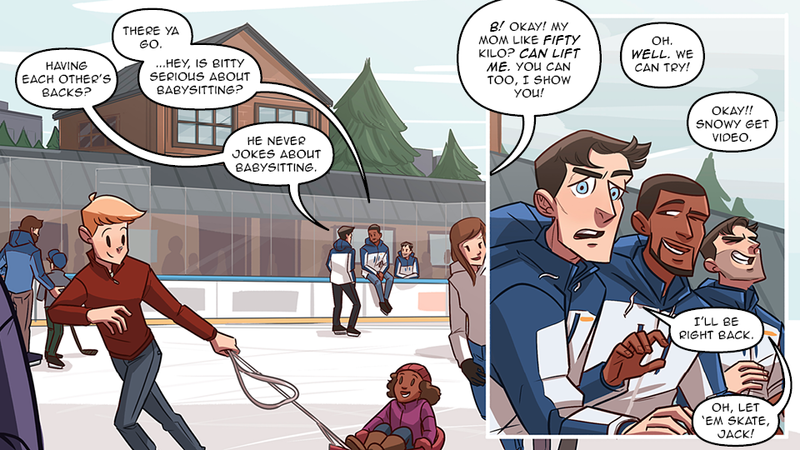 âœ“ Oh my God, how did Bitty survive any of that. I would have been waaaay too nervous. Bitty figured if he could win the Falconers and their families over with pie, he'd be golden. Uh, he didn't really have a plan B. So when the pie consumption came to a terrifying halt he began to panic. 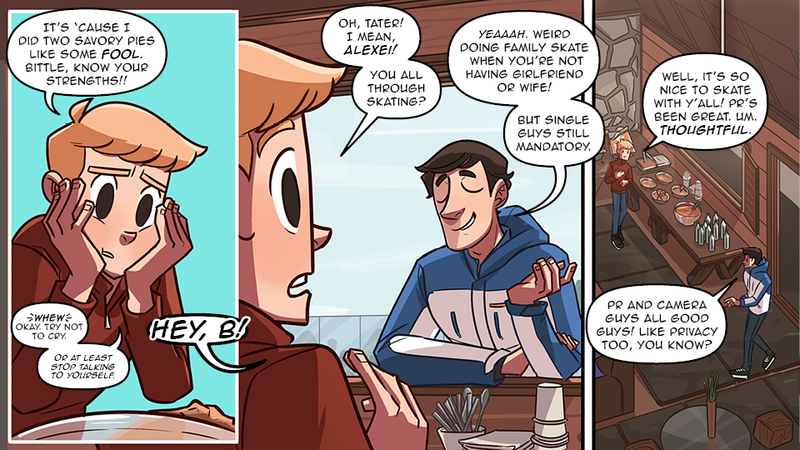 Bitty apparently forgets that he's friendly, polite, very kind, and a joy to be around. Of course, none of that matters if people hate your pie. âœ“ Oh, Poots. Oh, Poots indeed. 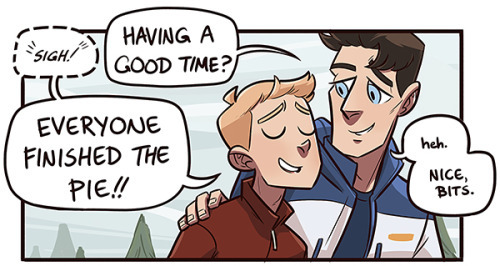 Jack Zimmermann? Uh, dating a Boyfriend? But how? This would make him gay?? âœ“ Alexei Mashkov's tragic past—revealed! Finally! Now now now, don't go interpreting Tater's life as tragic. His parents don't demand greatness from him or anything. Tater simply understands how it feels to have others put expectations on you and how that can be a whole lot of pressure. And Zimmboni is dating B so wow, that's even so much more pressure!! 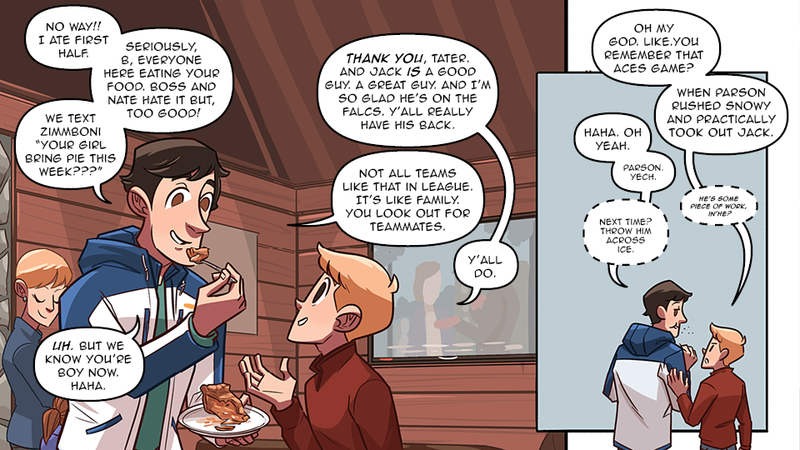 Expectations can be a drag and Tater wants Bitty and Jack to know that he only expects them to be good guys and to keep bringing him food. 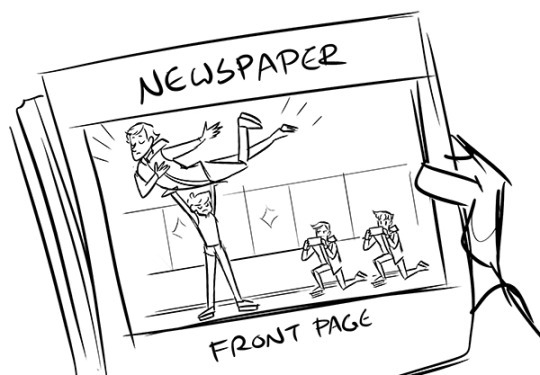 âœ“ So why was Tater so upset in pages 3 and 4 then?? 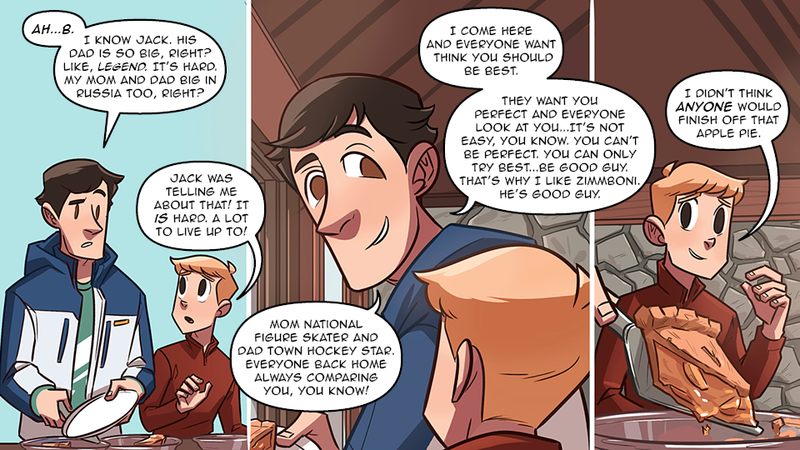 Yeah, okay, maybe not everyone will be comfortable with Zimmboni having a boyfriend. 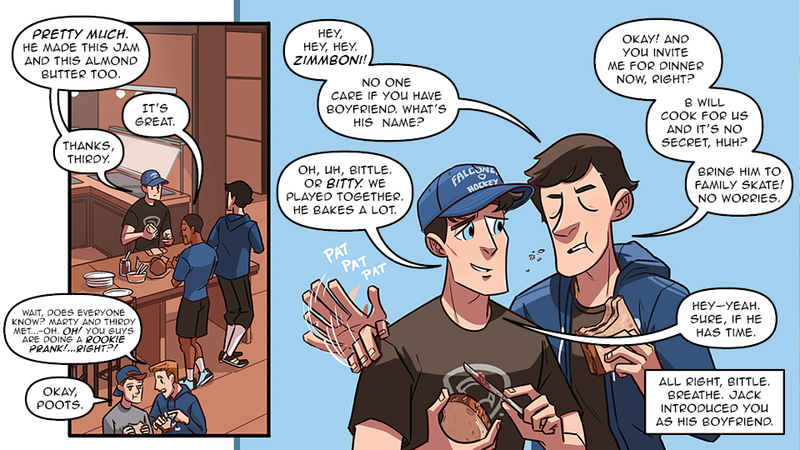 Maybe Zimmboni's not comfortable with telling them. But does he think the Falcs could hate him? Really? And is that really the only reason he hasn't invited Tater to dinner??? If only Zimmboni had told him he could have been eating SO MUCH MORE FOOD. Nook pies 24/7. Tater loves food. His name is a food. He was upset because of food and not knowing the True Source of food. âœ“ 3.18: Family Skate Bitty Acquires More Hockey Players To Feed. 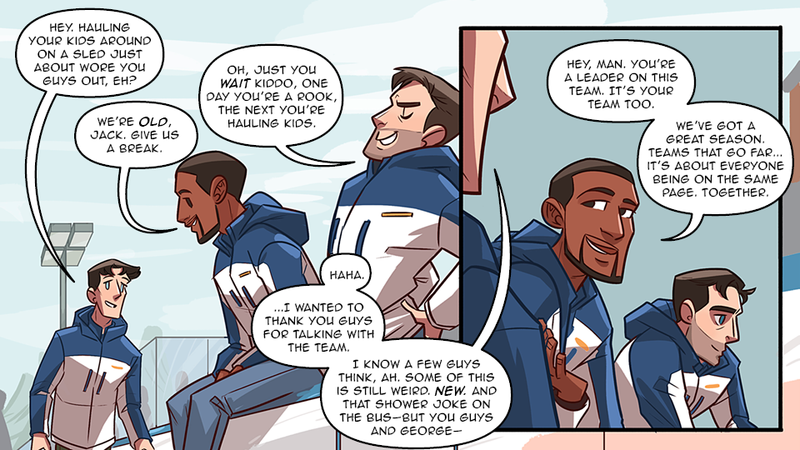 Honestly that’s the comic. â˜† If you somehow haven't heard me yelling about the new Check, Please site, it's HERE IT'S HERE! If you're reading this on the new Check, Please site high five! 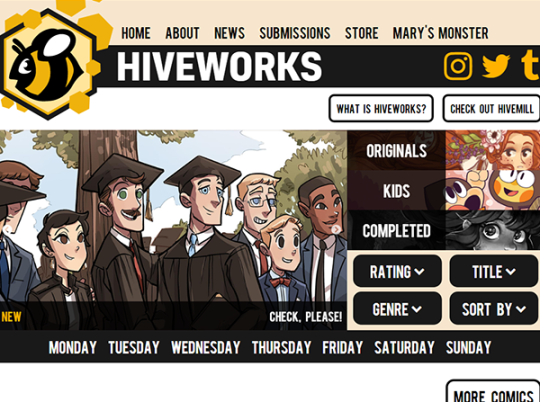 It's such a good site guys, and it's great being an affiliate to Hiveworks. 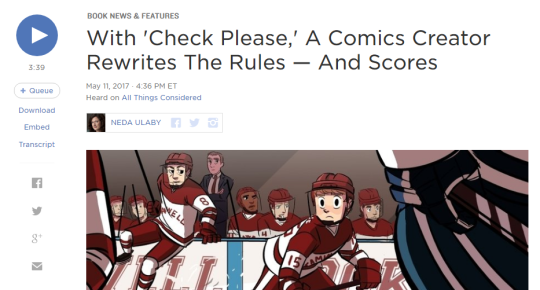 â˜† Check, Please has gotten a lot of press this month. 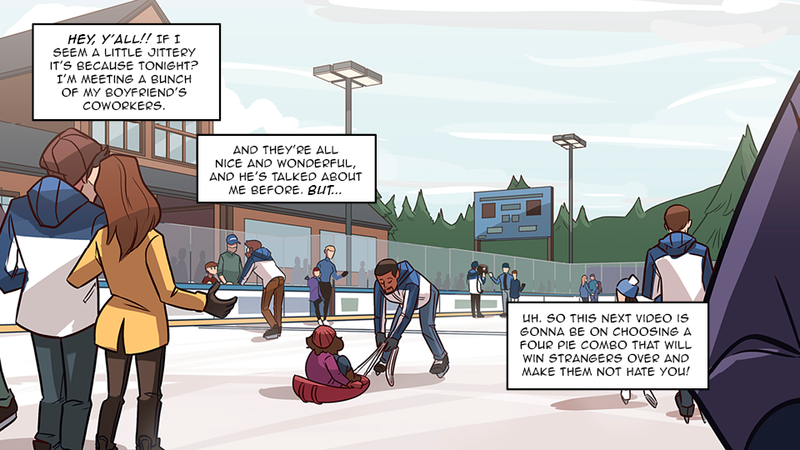 NPR did a story on the comic which you should check out! â˜† I also sat down with Dan Berry on the Make It Then Tell Everyone podcast and talked about writing, kickstarters, and how I got into comics. â˜† Also? I was a guest at TCAF! Publisher's Weekly had a nice lil’ shout out here. I was interviewed by Calvin Reid and revealed many Check Please Secrets during an exclusive panel! â˜† I'm working on the next three updates! Bitty's junior year is far from over. Look out for another update in a few weeks. Down the pipeline is ID10T festival in June and Anime Expo in July! You can start getting tickets to 1D10T HERE if you're in the Bay Area and want to see awesome concerts and also get some comic books? And don't you forget. For more Check, Please content follow my Twitter or subscribe to my patreon. And Kickstarter backers, look out for a new update in about a week! 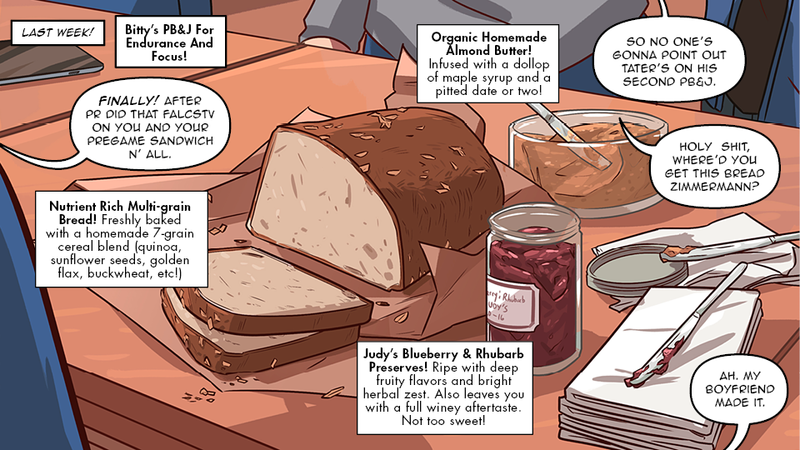 â˜† Up Next: Bitty makes a lot of jam, there’s a big fun kegster, and finding out who's captain. Sentiment and shenanigans. Standard Check, Please stuff!